For over a century our funeral home has been dedicated to serving the residents of Wareham, Sandwich, Rochester, Marion, Plymouth, Carver, Bourne, and the greater South Coast & Cape Cod Canal Region of Massachusetts with cremation and burial services. Trust, compassion, dignity and affordability makes our funeral home the choice of many area families. We deeply value our reputation of providing exceptional personal service. The Wareham Village Funeral Home is family owned and operated by Christian and Dolores Consoletti. 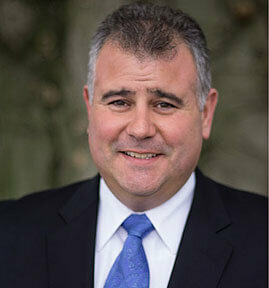 Christian has over 30 years of experience working in funeral service. He is a graduate of the New England Institute of Applied Arts and Sciences in Boston. He is also a U.S.M.C. veteran of Desert Shield Desert Storm and supporter, volunteer and member of many local organizations.